Occasionally the term living fossil will be encountered, which is referring to a living species (or clade) of organism that is the same or descended from its counterpart in the fossil record. 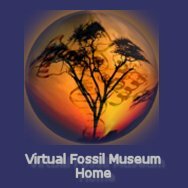 While what is or is not a living fossil is rather subjective, the attribute is most often (and perhaps more validly) ascribed to an organism that has survived with apparent little change over a long span of geological history. 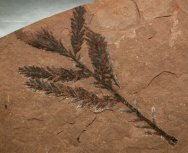 Some so called “living fossils” are organisms that were once only known from fossils before modern, extant living counterparts were discovered. Notable examples of these are the Coelacanth, a fish once thought to have gone extinct with the dinosaurs at the end-Cretaceous extinction, and dawn redwood, or Metasequoia, a conifer in the Pinophyta family Cupressaceae that is today native to the Sichuan-Hubei region of China. Darwin used the term living fossil when he stated: "And it is in fresh water that we find seven genera of Ganoid fishes, remnants of a once preponderant order: and in fresh water we find some of the most anomalous forms now known in the world, as the Ornithorhynchus and Lepidosiren, which, like fossils, connect to a certain extent orders now widely separated in the natural scale. 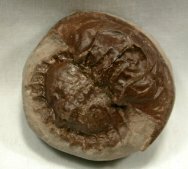 These anomalous forms may almost be called living fossils; they have endured to the present day, from having inhabited a confined area, and from having thus been exposed to less severe competition." Some fossils of what have sometimes been considered living fossils are shown below.